If you are interested in price offer, please, fill in our inquiry form. 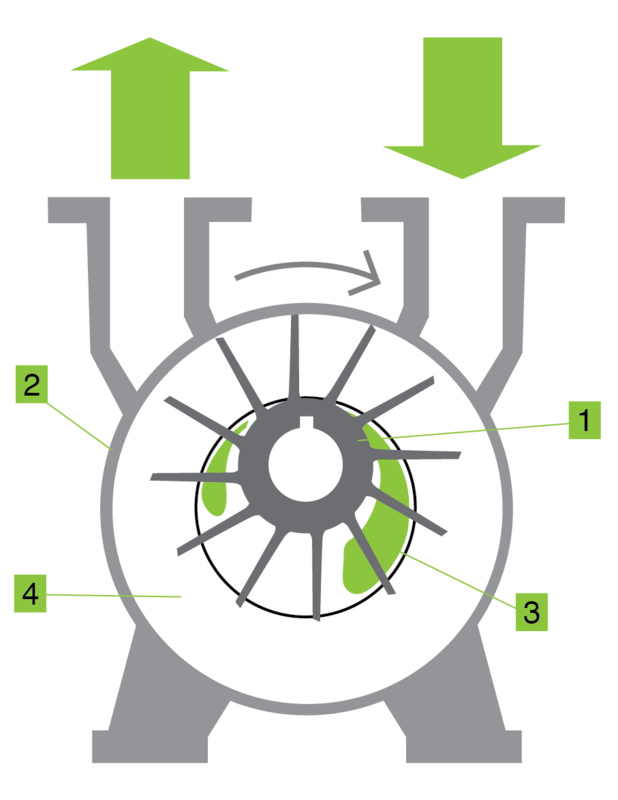 Rotor with fixed blades (1) is rotating in the stator (2), in which is situated eccentrically. Water ring is created from the service liquid (3) by the centrifugal force. The vacuum is formed and the pressure is changed in the compression chambers (4) between the blades and water ring. During the operation, the pump has to be supplied by adequate quantity of service liquid to achieve desired performance. Service liquid is also very useful for cooling of the liquid ring vacuum pump and for receiving possible contamination of sucked gas.